Electric locomotive CC 6514 of the French State Railways. The French State Railways (SNCF) have put into operation the electric locomotives CC 6500 in 1969. The locomotives were at that time, considered the most powerful locomotives of the French railway history. In their first years of operation, the locomotives were used because they reached a top speed of 200 km / h, which was also the reason why they mainly hauled famous express trains such as the "Mistral" or the "Capitole". 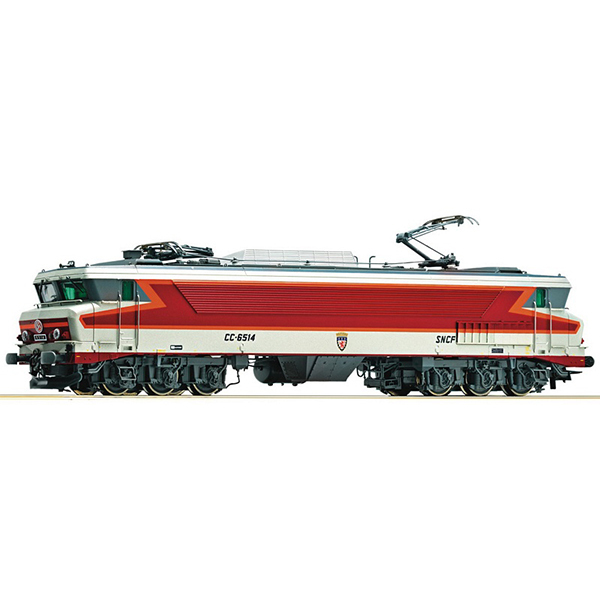 However, as the locomotives were also very powerful, the field of application changed over time and they were then used in front of heavy freight trains.